Babies delivered at HealthAlliance Hospital: Broadway Campus in Kingston, a member of the Westchester Medical Center Health Network (WMCHealth), can now benefit from the expertise of neonatologists at the Level IV Regional Neonatal Intensive Care Unit (RNICU) — the highest level possible — at Maria Fareri Children’s Hospital, also a member of WMCHealth, in Valhalla, through the health network’s new eNeonatology telemedicine program. WMCHealth’s eNeonatology and resuscitation program — the first neonatal telemedicine offering in Ulster or Dutchess counties — enables HealthAlliance to reduce the need to transfer newborn babies to neonatal intensive care units if the level of care required can be offered at HealthAlliance with the remote support of Valhalla-based neonatologists. 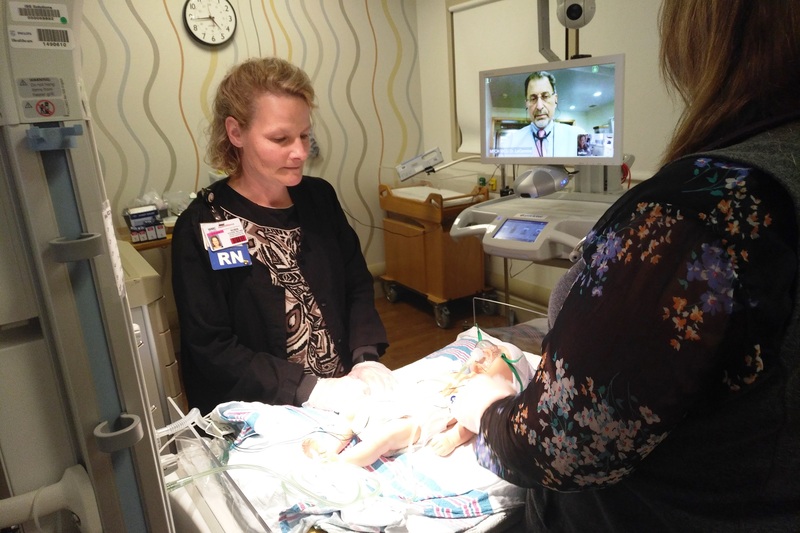 With video telemedicine, a neonatologist at Maria Fareri Children’s Hospital, the Hudson Valley’s children’s hospital and the region’s acute care pediatric center, can be virtually present at the bedside, if requested, to assess the newborn and work closely with the HealthAlliance care team at the bedside. The neonatologist works remotely alongside the Kingston team, offering clinical guidance during critical steps of newborn resuscitation, post-resuscitation care and other support in the first minutes after birth to achieve the best long-term outcomes. If a newborn requires more complex care, the infant would be transferred to the RNICU at Maria Fareri Children’s Hospital, which provides the highest level of neonatal care, including surgery, in the Hudson Valley. The newborn may also be transferred to WMCHealth’s Good Samaritan Hospital in Suffern, which also has a neonatal intensive care unit. The eNeonatology program joins WMCHealth’s existing suite of telemedicine services, providing the highest level of advanced care for patients across the Hudson Valley, including eICU, ePsychiatry, eTrauma, eStroke, STAT mobile ICU and eDermatology. From left, Robin Stevens, MSN, RNC-OB, CDE, Director, Family Birth Place; Edmund LaGamma, MD, Chief of Newborn Medicine at Maria Fareri Children’s Hospital; and Megan McMullan, MD, family physician at HealthAlliance. 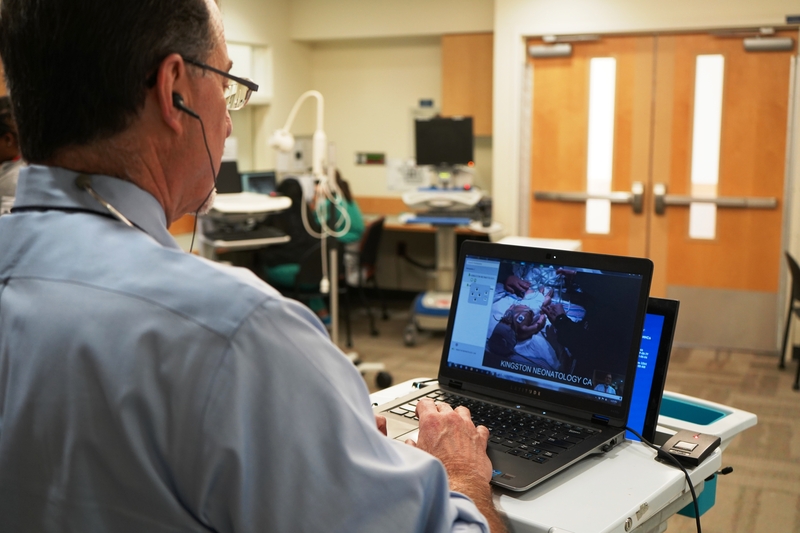 Edmund LaGamma, MD, Chief of Newborn Medicine at Maria Fareri Children’s Hospital, consults with doctors at HealthAlliance Hospital: Broadway Campus to support the treatment of a critically ill newborn using telemedicine technology.